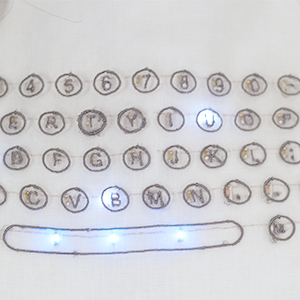 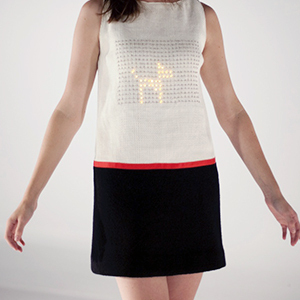 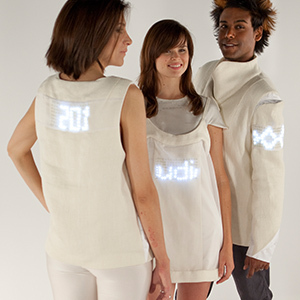 The project, Persuasive Textiles and the Improbable Environment, combines a creative approach to the textile arts with innovations in circuitry, wireless technology and architecture. 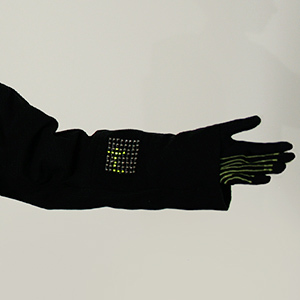 Embedded wireless communications systems promote real-time and remote interactions between garments and architectural elements. 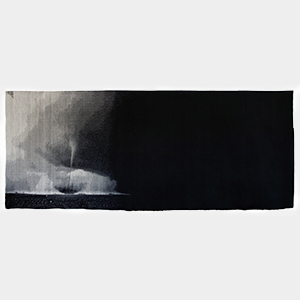 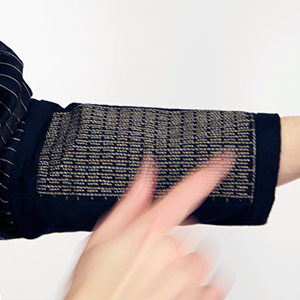 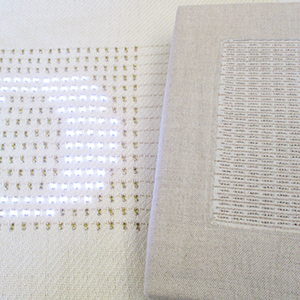 Soft touch pads, miniature sensors and animated displays create responsive textile surfaces that can react to a change of temperature, the choreographed movements of a dancer, or the spontaneous interaction with another.